Donald Macleod explores the life and music of German early Baroque master Heinrich Schutz. The composer attempts to retire – and eventually bids farewell with his Schwanengesang. Donald Macleod explores the life and music of German early Baroque master Heinrich Schütz. Today, Schütz attempts to retire – and eventually bids farewell with his Schwanengesang. Heinrich Schütz lived to be 87 – a pretty creditable age even now, but in the 17th century, extraordinary. As he approached his 60th birthday, his thoughts turned to retirement – and pension arrangements. 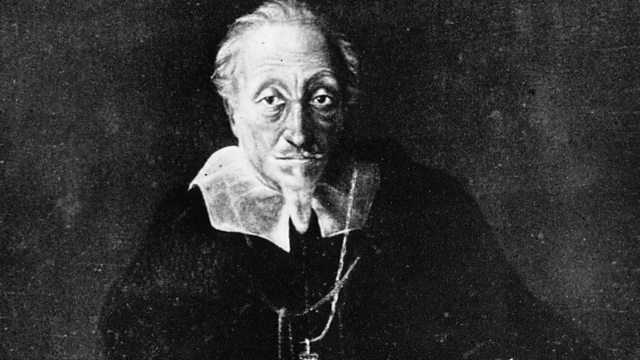 Unfortunately for Schütz, his then employer, Johann Georg I of Saxony, had different ideas – ideas that involved his celebrated kapellmeister continuing to work in much the same way as before, for an unspecified period of time. In the event, it took a change of leadership to bring about the result Schütz so desired; the old Elector died, and in 1657, with Schütz now a grand old 72, the new Elector, Johann Georg II, assented to new arrangements, involving a pension, permission to leave Dresden, and lighter duties. Schütz, though, didn’t rest on his laurels, and some of his greatest music dates from his last years – including his sparse and powerful setting of the Matthew Passion, and his musical last will and testament, a collection of works he himself titled ‘Swansong’. Singer: David Erler. Singer: Alexander Schneider. Ensemble: Cappella Sagittariana. Director: Hans-Christoph Rademann. Orchestra: Dresdner Barockorchester. Conductor: Hans-Christoph Rademann. Ensemble: Dresden Baroque Soloists. Director: Hans-Christoph Rademann. Choir: Dresden Chamber Choir. Conductor: Hans-Christoph Rademann. Choir: Collegium Vocale Gent. Ensemble: Concerto Palatino. Conductor: Philippe Herreweghe. Ensemble: The Hilliard Ensemble. Singer: Paul Elliott. Singer: Rogers Covey‐Crump. EMI : CDC 7-49200 2.